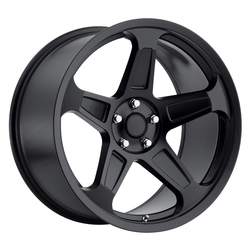 Right from the start, Voxx decided that Replica would not compete head on with the other manufacturers of factory wheels and instead chose to manufacture what it dubbed as 'Original Equipment Similar' designs instead. As time went by, Replica has added more and more models of wheels to its arsenal. The majority of the 'OE similar' wheels that come under its banner cater to sports cars and to brands such as Mustang, Mercedes, Corvette, Porsche, and so on.